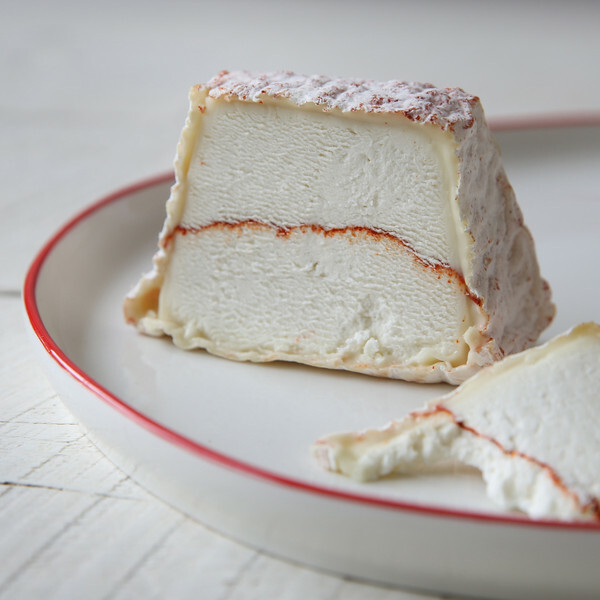 Along with luminaries Allison Hooper (Vermont Creamery) and Mary Keehn (Cypress Grove), Judy Schad is regarded as one of the first people to popularize artisan goat cheese, and farmhouse cheese more generally, in America. Rather than finding her inspiration in France, however, this mother of three and former PhD candidate found it in Indiana, when she tried goat cheese for the first time. 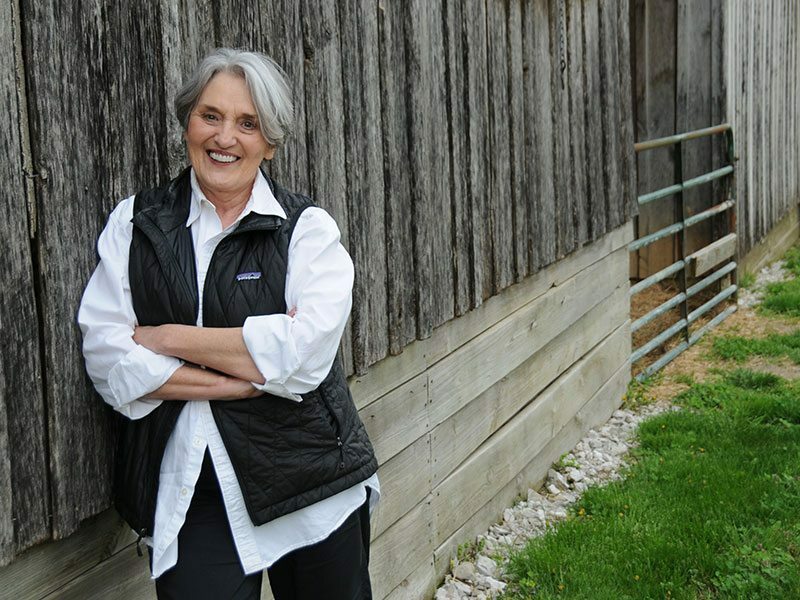 Judy and her family left the city for an 80 acre family farm in the hills of Indiana. Then came goats, and naturally, Capriole Goat Cheeses followed. To celebrate the return of Capriole to Murray’s, we sat down with Judy and had a wide-ranging conversation. From her decision to leave the city behind and her inspiration for making cheese, to her current favorite goats and her one message to the nation of cheese-lovers, there’s no better way to celebrate National Cheese Day than reading the words of one of the Founding Mothers of American artisan cheese making! Murrays: You are one of the founding mothers of modern American artisan cheese making. 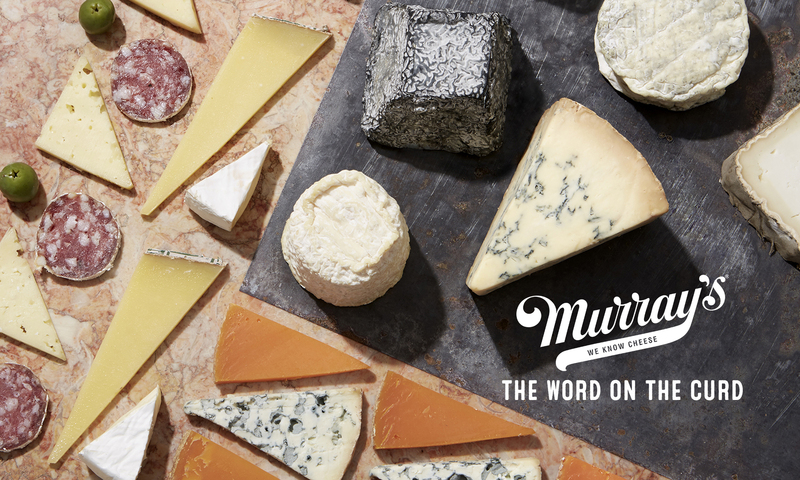 This is the first time in many years that Murray’s has had a chance to sell your lovely cheeses in New York, and as such, we thought it fitting to feature you, your cheese and your story on National Cheese Day! We had a lovely home just across the Ohio River from Louisville. My husband was a judge and attorney in New Albany, IN and we had 3 small children aged 3-7. I was working on a PhD in English at University of Louisville, cooking my way through Time/Life Foods of the World and Julia Child, and gardening like a mad woman. But I wanted every crazy city woman’s dream of a farm; I had no idea. We did find an 80 acre farm in the hills above the river and later found it had belonged to my husband’s great, great grandfather in the 1850s. A few goats, too much milk that my city kids refused to drink, and then I ate my first goat cheese from the Kilmoyers at Westfield Farm. I was in love with this lovely stuff and went to Hubbardston to work for a week with Letty and Bob [Kilmoyers). That was it for me, with a little instruction from Ricki Carrol’s book “Cheesemaking Made Easy’. There was no France, or short courses for us then, but we quickly got to know each other—Mary Keehn at a goat show in 1983 and Allison Hooper, Paula Lambert, and Chantal Plasse at food shows and conferences. This was how we learned and inspired each other. Why goats? How did you end up making goat cheese? What are some of your favorite memories from the early days of Capriole? There were some lovely ones—taking the ‘girls’ (goats) for long walks in the woods, picking morels in the spring, planting 2 acres of beautiful flower gardens. Love my garden. Years of wonderful and not-so-wonderful international interns. Many funny ones as well: growing ½ acre of black eyed peas that were totally eaten overnight by bean beetles; a ridiculous photo shoot for People magazine where I refused to wear a ratty crown and red velvet robe and sit on a bale of hay. There have been far more to laugh at than get wet-eyed about. Farms are generally a humbling experience. More about what you don’t know than what you do. The cheese industry today very much feels like an international community. Can you talk a bit about how you have seen that community grow and evolve? I totally agree, and in retrospect while there was just a handful of us initially in the US, even then it was international. Just a few years after we began—this is our 30th anniversary– the goats and the cheese introduced me to wonderful people and places. Roberto Rubino and Cinzia Scaffidi in Italy. Randolph Hodgson, Juliet Harbutt, Mary Holbrook and so many more in England, and Jeffa Gill in Ireland. Pascal Joaquin, the Carles family, Chantal Plasse in France. I was and am so lucky and so inspired by them. Of course the community was happening simultaneously in all those places. Neal’s Yard was aging just a handful of traditional cheeses and opened the door for so many more. Even in the early 90s in France there were many small cheesemakers—teachers and professionals starting their own productions. We did our first Slow Cheese in 2004 and that led to a friendship with Cinzia Scaffidi who organized it and the first Terra Madre. I attribute a lot of that international community to Slow Food who really brought us together every other year in Bra. And to ACS for creating a national one. What do you love most about your day job? I love my cheesemakers, the Capriole team and how much better they have made the cheeses. I may have come up with the names and recipes, but they have made them good. I love that we’re still small enough to know our customers personally and choose who best handles the cheeses. The ripened ones really require fromagers in the true sense of the word. You can’t just throw them in a coffin case unless you want to watch them die! The excitement of tasting a perfect Wabash Cannonball, Mont St. Francis, or any of our cheeses, never leaves me. 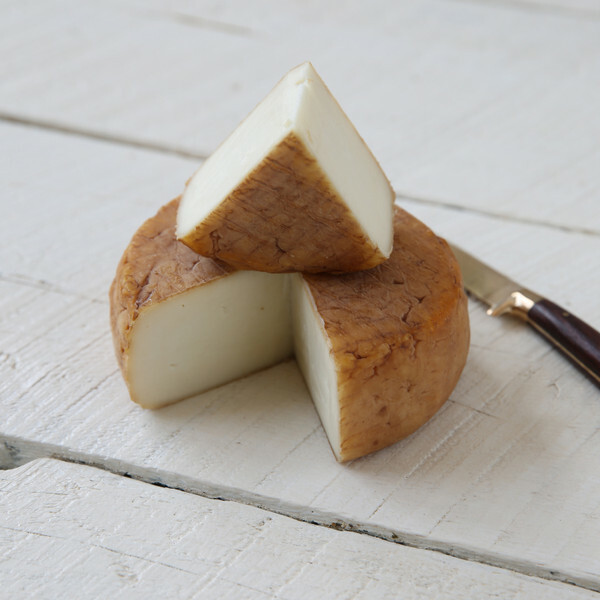 What are some of the struggles of being a farmstead cheese maker? For goat cheesemakers in particular it was the lack of established knowledge and practice of both animal husbandry and the cheeses themselves. When we began there were so few commercial goat herds that just finding the right animals, then building the genetics and sound management practices for goats was in every way a challenge. Considering that it take 8 times the labor to get the same amount of milk as it does from a good cow, goat keeping, milking, and labor in general can be incredibly inefficient without a well-designed facility for moving animals. As for the cheesemaking, Allison Hooper and I have often talked about how much everything we did was experimental and how waste was for a very long time, directly proportionate to production. The more we grew, the more we threw away, at least in the first 10 years. We sold our herd 6 years ago and our cheese is so very much better than it was. The animals took an unbelievable amount of time and energy that’s now devoted to cheese. If you could speak to all of the nation on National Cheese Day, what would your message for them be? Do you have a current favorite goat? I only have a few retired girls who worked hard and now live the easy life. Some are over 15 years old. What aspect of your job do you think people would be most surprised to learn? Who inspires you to grow and evolve? All of you—from the friends and the community of cheesemakers that helped each other to an exciting generation of cheesemongers and customers that truly love and know cheese. What values do you believe in most as a cheese maker? Make what you love and make it personal. I can’t offer what I don’t love. It’s like sending your children to school in dirty clothes! I want complexity in cheese, it doesn’t have to hit me over the head with flavor, but I want a beginning, middle, and end. I taste everything everywhere, especially when someone tells me it’s bad. So I certainly have ‘worst’ cheeses. Want to try some of Judy’s delicious and award winning cheese? Right this way. I spent a most memorable day at this amazing place with my family from Louisville, the Dunns. It truly stands out as one of my happiest days. I have always loved both goats and cheese. I was raised on goat’s milk and walking into the immaculate milking barn and smelling the milk smell was heaven. I will never forget it. Nice article about an amazing woman and the no-compromise-ever cheeses she’s produced over the years. Have known Judy and family since pre-Capriole days, and they’re all of the same impeccable quality as their cheeses. Next PostNext Señor Lechuga Hot Sauce: Caliente A.F.